According to new research from IS Decisions, 2015 is set to see a huge rise in the number of IT Professionals taking action to address insider threat in their organization. Another day, another massive security breach of millions of consumer or company records. As the stories behind many of these breaches unravel, frequently the source appears to be an internal one. J P Morgan, Sony Entertainment, eBay, Anthem and the latest, Premera – all of these headline dominating hacks from 2014 and now 2015 point to either malicious or careless user behavior. However, the continual high profile internal security breaches have prompted a surge in preventative measures against insider threat. It looks like IT professionals are very much taking heed of what they’re seeing. 2015 is set to see a huge rise in the number of IT professionals taking action to address insider threat in their organization. 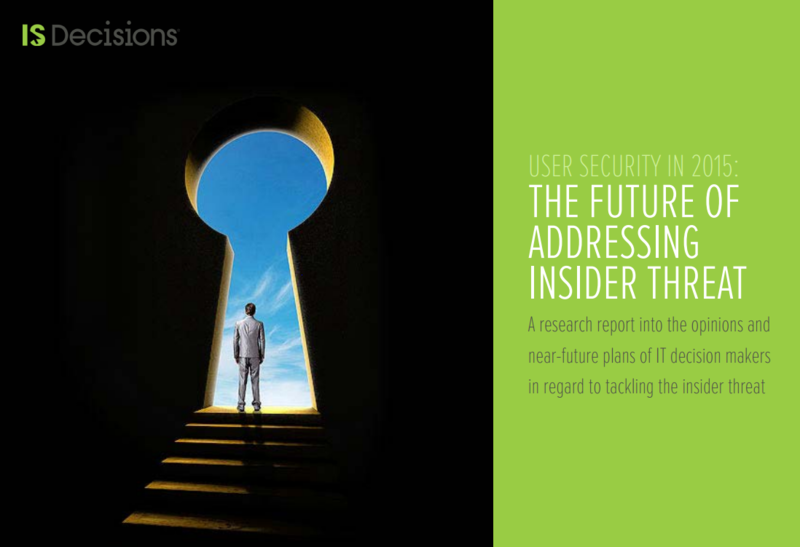 Based on a survey of 500 IT Professionals, the study asked the opinions and near-future plans of IT decision makers in regard to tackling the insider threat. 56% of IT Professionals in the US now have an insider threat program already in place, and 78% of those remaining are planning to put one in place this year. In total, across the US and the UK, 96% either have an insider threat program in place or intend to implement one. 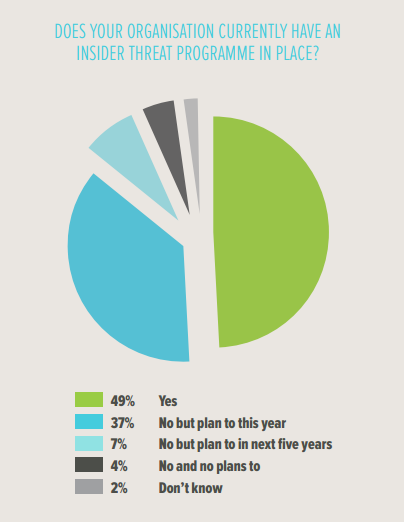 2015 it seems is set to be a huge year for tackling insider threat. It shows that IT Professionals have overwhelmingly woken up to the need to address insider threat. What does your insider threat program look like? It’s clear that the high-profile attacks have made organizations sit up – but what has been learnt on how insider threat can be better managed? IT Professionals know there is no silver bullet to mitigating insider threats. Both planned and existing insider threat programs in 2015 are likely to constitute a combination of tactics, with the majority including both technology, tools and data (66% of replies), and ‘organization-wide security training and awareness (57% of replies). The lessons from high profile attacks underline how organizations are looking to take a joined-up approach of better user education and technology solutions, across the whole extended enterprise. With insider threat an issue affecting many organizations across all sectors right now, the report is not an exercise in speculative future gazing. Download the report to find out more on what IT professionals are doing right now to mitigate insider threat. User Security in 2015. The future of addressing insider threat.